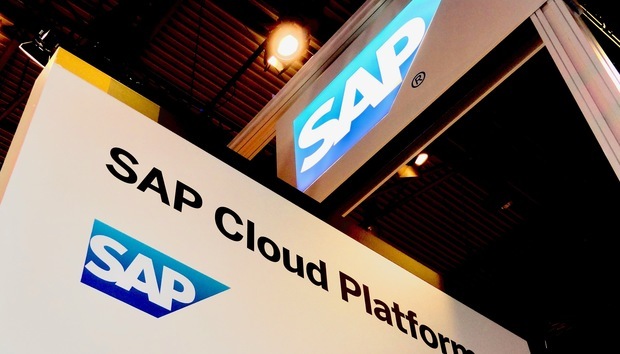 SAP has rebranded its customer relationship management (CRM) offering in an attempt to take on the established market leader, Salesforce. The new product, called C/4HANA, is actually a suite of CRM solutions for marketing, sales, customer service and commerce and is a clear cloud-first play, marking another move from the German software maker into the world of software-as-a-service (SaaS). The full C/4HANA portfolio closely resembles that of the cloud CRM market leader: Salesforce. It consists of: SAP Marketing Cloud, SAP Commerce Cloud, SAP Service Cloud, SAP Customer Data Cloud (following the Gigya acquisition) and SAP Sales Cloud (following the CallidusCloud acquisition). SAP Hybris has also been rebranded as SAP Customer Experience as a result. In a press release today SAP stated: "Following the completed acquisitions of market leaders Hybris, Gigya and CallidusCloud, SAP now ties together solutions to support all front-office functions, such as consumer data protection, marketing, commerce, sales and customer service." Speaking on stage at SAP Sapphire in Orlando, Florida, president of SAP Customer Experience Alex Atzberger said: "Ultimately it's no longer about efficiency but driving effectiveness and that comes from intelligence and integration. "Those five clouds make up SAP C/4HANA, but what makes it a suite is that it has one data model. Number two is that it has one extension framework with a microservices based ecosystem called SAP Cloud Platform. Number three, it has better intelligence through SAP Leonardo, and number four is that beautiful user experience from campaign to billing." Also speaking on stage SAP CEO Bill McDermott spoke about how 'legacy CRM' is holding customers back from getting a single view of the customer. "It's time for change, there is now a clear paradigm shift forward," he said. "We have moved from a 360-degree view of sales automation, where some companies focus, to a 360-degree view of the actual customer. From a world where nothing happens when you add a record to CRM, to a world where everything happens, the entire supply chain is connected to the customer experience." SAP clearly sees value in its ability to bring together CRM and its popular back-end systems for customers. As Giles House, chief product officer at CallidusCloud wrote in a blog post: "To truly deliver a complete view of the customer, you need to bring the back-office to the forefront. Only SAP can deliver this - 77 percent of the world's transactions touch SAP. This is what a true customer-centric solution is. Customers are not opportunities, or leads, or accounts. They are people." Without naming them, McDermott criticised existing CRM providers (Salesforce), saying that customers can now move from "a first-generation cloud CRM experience, which by the way most users don't like, to the best consumer grade CRM experience in the industry" with C/4HANA. Close observers would have telegraphed this announcement, as McDermott said on an earnings call for Q1 2018 in April: "So-called cloud CRM is nothing more than overpriced software running on first generation SaaS architecture. This is probably why so many have responded so eagerly to SAP's recent statement about a new vision for CRM. They know, change is coming, we are coming." Going further McDermott responded to an analyst question by stating: "Basically we are going to rebrand the whole CRM category, it's going to be a massive movement at Sapphire and we're going to show every customer that they can be a best-run business by running SAP and no longer do they have to be relegated to an outdated sales platform with complex integration layers trying to get that data out of the ERP system." This move also comes in the wake of an indirect access scandal which has seen customers like Diageo effectively punished for using Salesforce software on top of their SAP ERP systems. Now SAP is looking to offer a more 'end-to-end' CRM solution to help customers avoid having to do this. SAP is already the second placed vendor in terms of CRM market share, according to some 2016 Gartner research. Other major players in the market are Microsoft with Dynamics 365, Adobe and Oracle. During Sapphire both McDermott and Atzberger were also keen to stress the GDPR compliance by design of C/4HANA, specifically for marketing departments wanting to deliver personalised messaging. Atzberger summed it up when he said: "The customer is now in charge of the relationship... customers are done with creepy, don't be creepy, without consent don't personalise." McDermott added: "We assembled a solution for you. For that sensitive consumer data in the GDPR era: we will help you protect it. For marketing: we will help you personalise it. For sales professionals: we will empower them from lead to reference. For commerce: we will help you succeed with any channel on any device. For customer service: we will help you predict issues so you can retain happy customers." SAP is also practicing what it preaches, with chief digital officer Bertram Schulte outlining how SAP.com is already using C/4HANA. In a blog post Schulte wrote: "We're not just making it available to customers, we're running it ourselves to transform how our customers shop for SAP applications and solutions. "Running on SAP Customer Experience and SAP Commerce Cloud (SAP Hybris' digital commerce platform), we're removing the siloed way that people used to purchase from SAP, unifying the buying process on SAP.com." Whereas SAP.com used to be simply a shop window for SAP products, the vendor now wants it to be "the one place where customers discover, try, buy, and use SAP and partner offerings in one centralised location," Schulte wrote. "We'll lead by example, accelerating the best-run SAP and driving simplicity, growth, and scalability, while improving partner, customer, and employee experiences," he concluded. "These experiences must be real-time, self-service, and digitally assisted in order to achieve our mission to redefine and lead the CRM market. "With SAP C/4HANA, we're empowering connected, omnichannel commerce and intelligent experiences at the point of sale and at every touch point with SAP." Everything SAP announced today is available immediately.